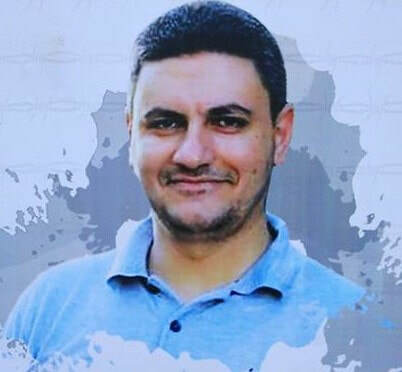 An Israeli military court on Wednesday extended the administrative detention of Quds Press reporter Mohamed Manna for six months, with no trial and indictment. 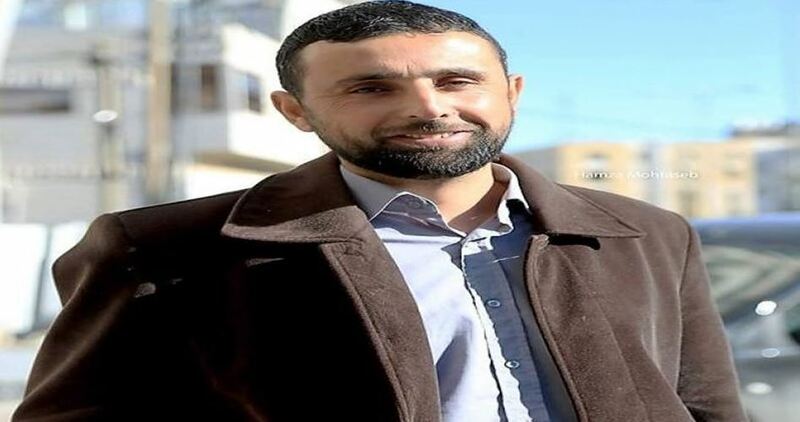 Israeli soldiers kidnapped 37-year-old journalist Manna on August 1, 2018 from his home in Zawata village, west of Nablus. The Israeli occupation authority had detained Manna several times before and spent a total of over seven years in its jails, mostly in administrative detention. 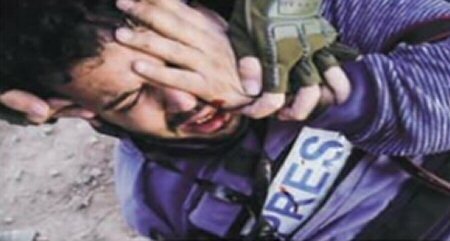 The World Health Organisation issued its monthly report entitled “Health Access Barriers for Patients in the Occupied Palestinian Territory”, in which the organisation highlighted the case of ALRAY Media Agency’s photographer, Attia Darwish, who was seriously injured a month ago. WHO said, in its report, which comes in three parts, that a tear gas canister hit Darwish, a 31-year-old photojournalist, in his face, under his left eye, when he was covering demonstrations near the Gaza fence. “I was taking photos when my phone rang, and I tried to take the call. Suddenly, I felt a blow to my face and fell down,” Attia said, according to Al Ray. The ambulance picked him up within minutes and took him to a trauma stabilization point close to the fence. After initial assessment and first aid, Attia was rushed to Shifa hospital, in Gaza, for treatment. He had multiple facial fractures and severe bleeding at the back of his eye, putting his sight at risk, the report said. WHO said that Darwish had surgery to remove shrapnel from the wound, fix his lower jaw and replace fragmented bones in his face with metal plates. He also received initial treatment for his eye injury, but needed review and specialist care outside of Gaza. “As a photographer, I depend on my eyes to do my job. Now, I can hardly see with my left eye. Getting proper treatment is something critical for me,” Attia said. He subsequently received a medical referral, from the Palestinian Ministry of Health, to go for an appointment to St John’s Eye Hospital, in Jerusalem. He applied to Israeli authorities for a permit to exit Gaza, for treatment, but, when the date of his hospital appointment came, his permit application was still under review. Attia despaired of getting a permit to exit Gaza, via Erez crossing with Israel, and asked the Services Purchasing Unit in the Ministry of Health to refer him, instead, for treatment in Egypt, WHO recounted. On the day of his travel, however, Rafah crossing point to Egypt was closed for exit. “I cannot feel the left side of my face. I can only eat soft food and I’m suffering with the pain. The cold weather makes it even worse. When I was in hospital, one of the doctors said I either need a bone graft or an artificial implant. But, neither of those is available in Gaza,” he said, according to the report. The orgnisation pointed out that of 435 permit applications to Israeli authorities by those injured during the Great March of Return demonstrations, only 19% have been approved, where those unable to access the health care they need face a higher risk of complications and poorer health outcomes. At least 14 Palestinians were shot and injured by Israeli forces at the eastern borders of the besieged Gaza Strip, on Friday, including a paramedic and a journalist. Date: 18 January 2019, The Palestinian Center For Human Right (PCHR): On Friday evening, 18 January 2019, Israeli forces wounded 119 Palestinian civilians, including 30 children, 5 women, 5 paramedics, and 2 journalists, in the peaceful demonstrations in the eastern Gaza Strip despite the decreasing intensity of the demonstrations there for the twelfth week consecutively and absence of most means usually used during the demonstrations since the beginning of the Return and Breaking the Siege March 10 months ago. As a result, many of the demonstrators were hit with bullets and teargas canisters to their head without posing any imminent threat or danger to the life of soldiers. On this Friday, the Israeli forces have increasingly targeted the medical personnel in the field and wounded 5 of them, including 2 female and male paramedics in eastern Khan Yunis, 2 female paramedics in eastern Jabalia and a paramedic in eastern al-Buriej camp. Moreover, the Israeli forces fired a barrage of teargas canisters near where ambulances were parked in Khan Younis. All of this indicates an Israeli systematic policy to target the medical personnel and obstruct their humanitarian action that is guaranteed with protection under the international humanitarian law. Hundreds, including children and women, approached the border fence with Israel in front of each encampment and gathered tens of meters away from the main border fence, attempting to throw stones at the Israeli forces. Although the demonstrators gathered in areas open to the Israeli snipers stationed on the top of the sand berms and military watchtowers and inside and behind the military jeeps, the Israeli forces fired live and rubber bullets in addition to a barrage of teargas canisters. The Israeli shooting, which continued at around 17:00, resulted in the injury of 119 civilians, including 30 children, 5 women, 5 paramedics, and 2 journalists. In addition, dozens of demonstrators, paramedics and journalists suffered tear gas inhalation and seizures due to tear gas canisters that were fired by the Israeli forces from the military jeeps and riffles in the eastern Gaza Strip. according to the Ministry of Health. The Palestinian Authority (PA) security forces on Wednesday kidnapped Quds Press reporter Yousef Faqih from his home in al-Khalil. 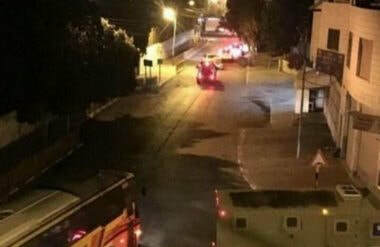 According to a family source, PA forces from the preventive security apparatus stormed the house of journalist Faqih, 33, in al-Burj village near Dura town, south of al-Khalil, and rounded him up. 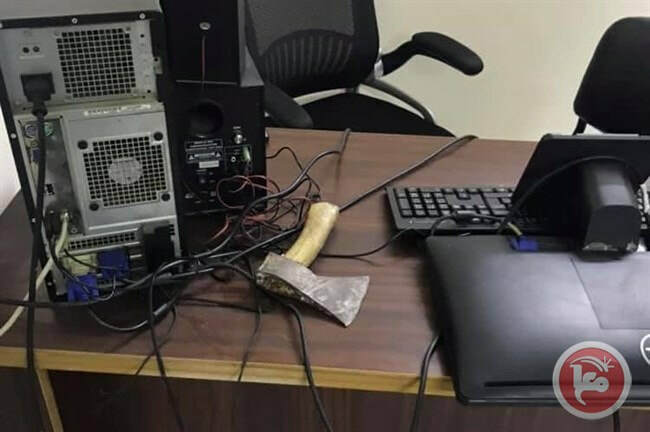 The PA forces also confiscated a laptop and cellphone belonging to Faqih during his detention before taking him to an undeclared place. Faqih did not receive an arrest warrant or any summons from the PA preventive security apparatus before his detention, according to his brother Nouh. Yousef Faqih had been arrested, with no guilt, several times by the PA security forces and spent a total of six months in their jails. He was also exposed to violent interrogation during his previous arrests.